This heart-shaped pink and white flowered plant is native to northern China, Siberia, Korea and Japan. It is a species of flowering plant that belongs to the poppy family. 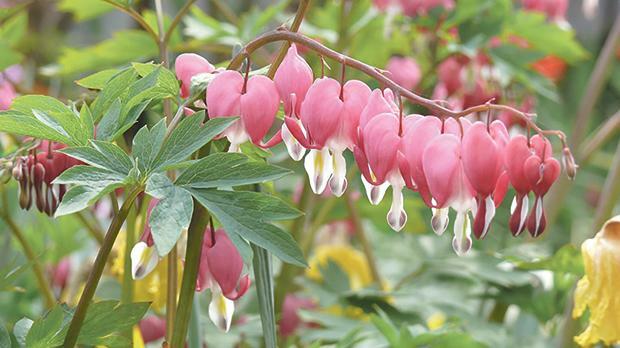 Lamprocapnos is also commonly known under its old name Dicentra spectabilis. It flourishes in a moist and cool climate with the flowers blooming in spring.